Asserting that a separate state was the birth right of the Gorkhas of the country, the All Assam Gorkha Students’ Union (AAGSU) today appealed to Kalimpong MLA Harka Bahadur Chhetri to stop indulging in opportunistic politics and instead support the Gorkhaland demand. 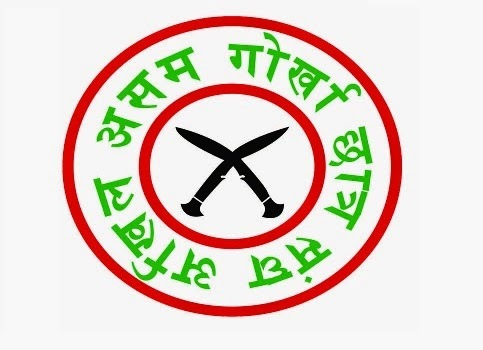 A four-member AAGSU delegation led by PremTamang, the outfit’s president, is in Darjeeling to meet GorkhaJanmuktiMorcha president BimalGurung and lend its support for the statehood demand. On Wednesday, the delegation, comprising RohitLamsal, the organisational secretary, Raj Newar, the publicity secretary and SantoshChhetri, an executive member of the body, held a press conference in Darjeeling and announced that AAGSU would even organise rallies against the Kalimpong MLA in Assam in the coming days. “In Darjeeling certain people like Chhetri are indulging in opportunistic politics in the name of development. It must however, be remembered that the statehood demand is not only of the Darjeeling hills, but of the entire Gorkha community of the country,” Tamang said. “The Kalimpong MLA is also a son of the soil. But he is trying to divide the people with development issues. Our identity and not development is our priority at the moment,” he added. Chhetri, after severing ties with the GJM, has announced he would float a political party on January 27. But he has refused to prioritise the statehood demand and instead is banking on development issues to garner people’s support. “Development and rights are two different issues. Once our right is achieved things like development will follow. In fact, we fail to fathom why the Bengal government talks of development only when the statehood issue gets positive response,” Tamang pointed out. The AAGSU members also questioned the Kalimpong MLA’s claim to taking credit for a new district saying it was only to confuse the people. Asserting that a separate state was the birth right of the Gorkhas of the country, the All Assam Gorkha Students’ Union (AAGSU) today appealed to Kalimpong MLA HarkaBahadurChhetri to stop indulging in opportunistic politics and instead support the Gorkhaland demand.